In small bowl, stir all ingredients until combined. 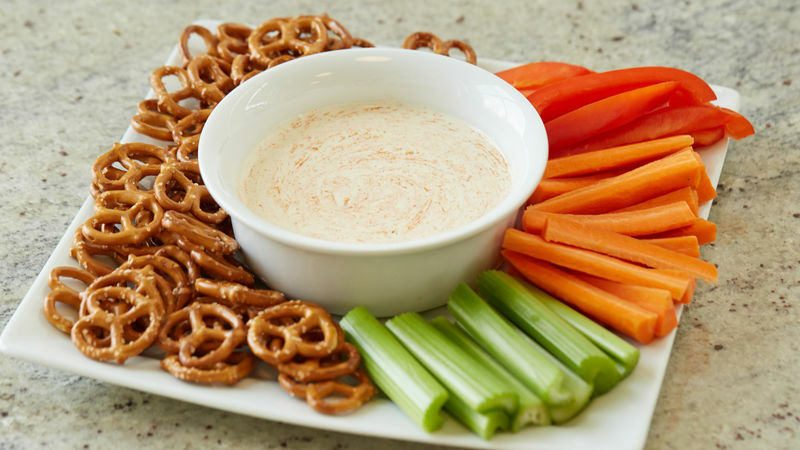 Serve dip with fresh cut vegetables, pretzels or chicken fingers. Cover and refrigerate any remaining dip and use within 2 days.